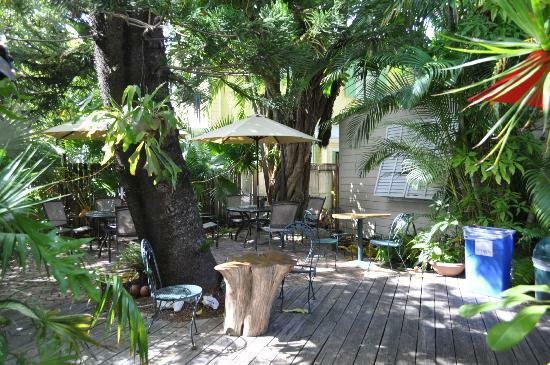 This enchanting guesthouse is located in the “Meadows Neighborhood” of Key West at 725 White Street. Authors Guesthouse was conceived to honor the literary masters who lived and worked in Key West. The historic Conch-style houses, suites, cottages and rooms contain works and artifacts of the author for whom it was named. Some of the more notable authors include: Tennessee Williams, Ernest Hemingway, Harry Truman, Margaret Truman, Thornton Wilder, and John James Audubon. Upon entering the compound filled with an array of colorful foliage, you will see two charming cottages that were originally the living quarters of cigar makers, who enjoyed a thriving business here during the early 1900’s. The Pool Spa, hidden beneath thick tropical trees, is a delight. At night it is lit by soothing stained glass. The main house has many windows, French doors, decks and terraces. In the office/lobby you can enjoy the vibrant, local artwork that covers the walls. This is where you can chat with your friendly concierge, = Ramsey and plan the rest of your Key West vacation. She will be sure to steer you to the best restaurants, attractions, activities and the Old Town Trolley Tour. We are so pleased to showcase Hillcrest Bed and Breakfast and our good friend, Ann Callahan, the Innkeeper. Ann has been a great supporter of Old Town Trolley Tours for many years. She comes from the corporate hotel background working for the Hyatt Corporation and then one day decided to open her own Bed and Breakfast. She is a Board Member on the San Diego Tourism Authority as well as the Hotel Motel Association. Hillcrest House is located in the vibrant, eclectic, urban neighborhood of Hillcrest which also happens to be where I live. 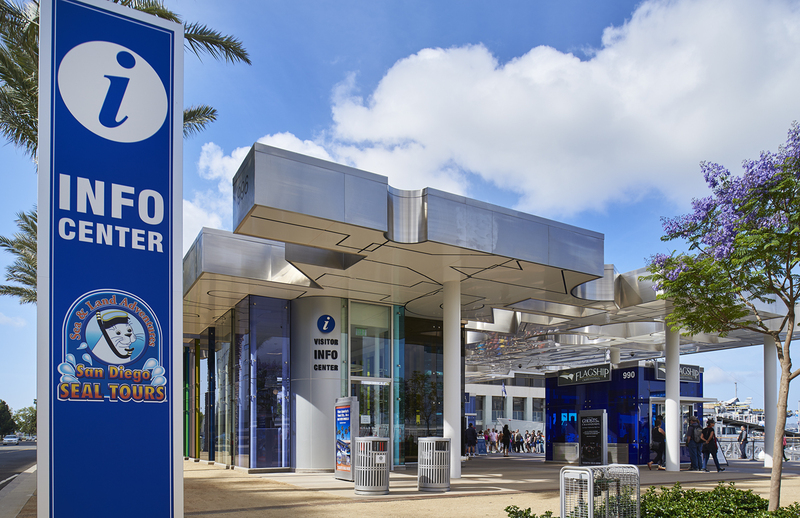 It is a great base location for exploring all that San Diego has to offer; just 10 minutes to San Diego Beaches, Airport, Gaslamp Quarter, Balboa Park Museums, the Zoo and Old Town. Ann has several themed rooms such as the Old Town, Zoo, Coronado, Balboa and Gaslamp room. The Hillcrest House Bed and Breakfast has also received the Certificate of Excellence from Trip Advisor for the past three years. Carlos Murray from our Key West IT Dept. just recently stayed there and had an amazing time. Thank you Ann for being such a great supporter and friend! 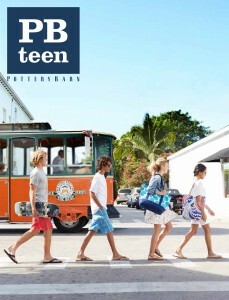 Old Town Trolley Tours of Key West recently made the cover of Pottery Barn Teen. 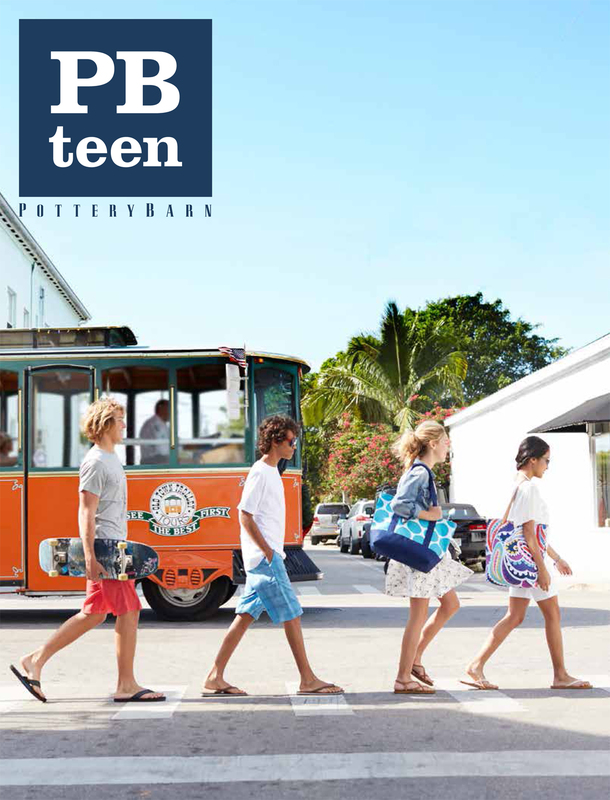 The photo was taken at the end of 2014, while in town taking photos for their their Spring 2015 edition. 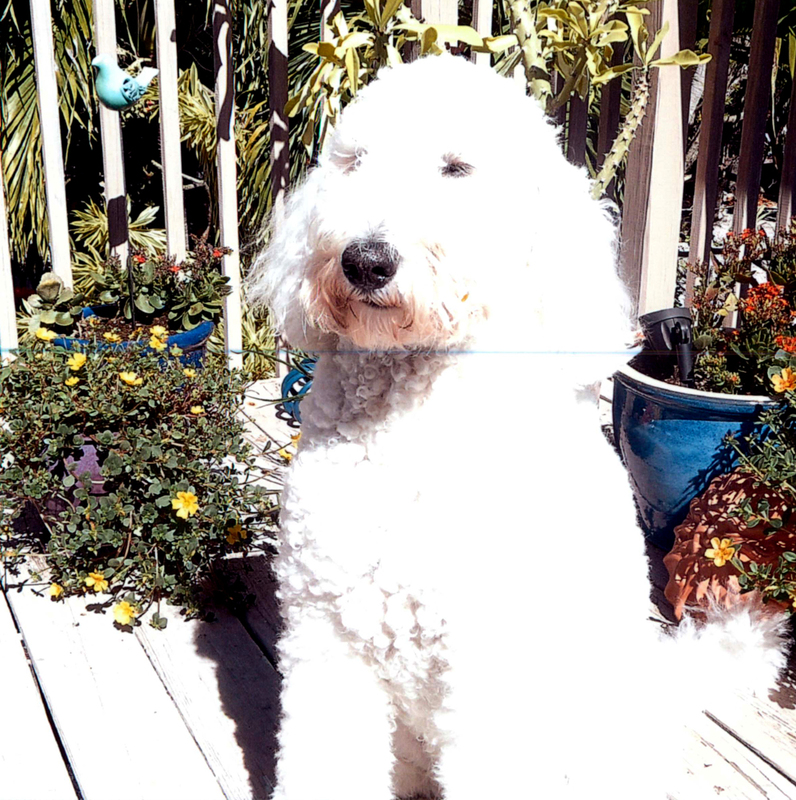 We love our pets in Key West and especially those who belong to our CASTmemebers. Meet Molly. 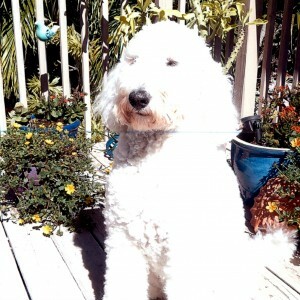 She’s am a beautiful Golden-Doodle that lives with Joe and Beth Moyer. They rescued me as a very sick puppy in 2008. We are very lucky to have found each other! I enjoy fetching the newspaper each morning, gardening, long naps, and I love to travel. I am a happy girl! We have some amazing cooks in our CAST. In honor of Cinco De Mayo, we bring you Cathy Hutchinson’s Mexican Quino. It’s easy, healthy and most importantly, tastes great! Heat olive oil in a large skillet over medium high heat. Add garlic and jalapeno, and cook, stirring frequently, until fragrant, about 1 minute. Stir in quinoa, vegetable broth, beans, tomatoes, corn, chili powder and cumin; season with salt and pepper, to taste. 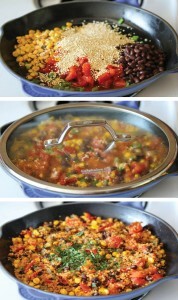 Bring to a boil; cover, reduce heat and simmer until quinoa is cooked through, about 25 minutes. Stir in avocado, lime juice and cilantro. Serve immediately. Yesterday, Old Town Trolley Tours of San Diego opened their new visitor center on the San Diego’s Embarcadero. The event brought out dignitaries from the city and Old Town Trolley Tours of San Diego’s parent company, Historic Tours of America including President Edwin Swift, III and Chief Operating Officer, Edwin Swift, IV and Old Town Trolley Tours of San Diego General Manager, David Thornton. 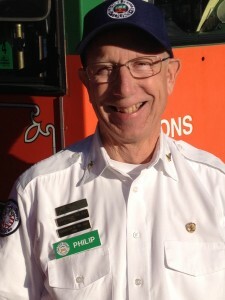 San Diego native, Philip Fondaw spent 24 years a missionary to Japan and is a retired school teacher. This includes working with 5th graders and teaching English as a Second Language at the senior high level. 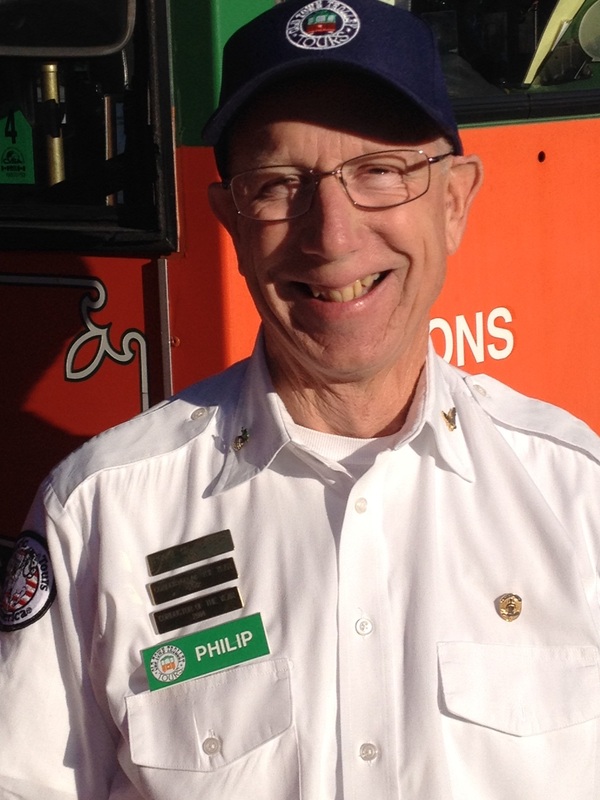 As much as Philip has enjoyed each of these jobs, he has confessed to us that he has never had more fun on a job than driving in circles around San Diego and showcasing hi home town to nice people from across the globe. Q | What is your idea of perfect happiness? A | Knowing that I am loved. Q | What is my greatest fear? Q | What do I most dislike in others? A | Dishonesty. I value trust and acceptance in my friends more than all else. Q | What is my greatest achievement? A | That both of the children my wife and I have raised love the Lord. A | The mountain village we visited so many times: Karuizawa, Japan. Q | Who are my favorite writers? A | Jonathan Kellerman and the writer of Old Testament Psalms, King David. You are currently browsing the Old Town Trolley Tours Blog blog archives for May, 2015.